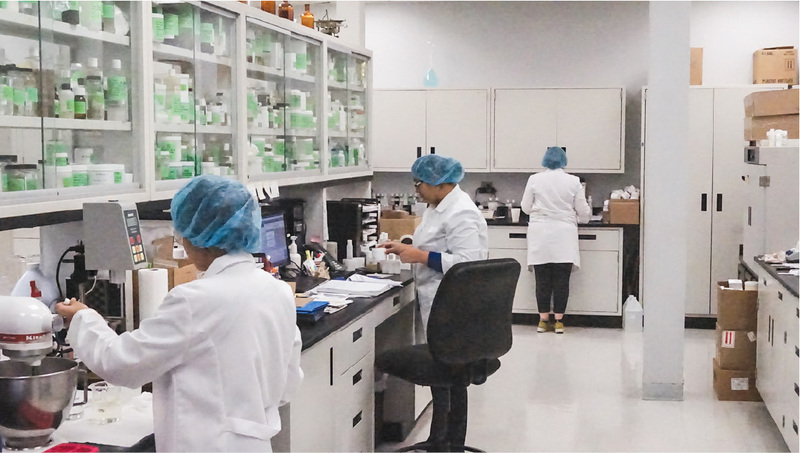 Product Development | Solo Laboratories, Inc.
Our research and development team of chemists can custom formulate a wide variety of products in the health and beauty (HBA) and the household, industrial and institutional (HI&I) industry segments. Our chemistry experience also provides solutions for the topical OTC drug, pet care, and outdoor sports markets. We can also reproduce, modify or improve your own existing formula at your request, or even reverse-engineer existing formulations with content unknown. All products developed by Solo or with a customer-supplied formula are manufactured and tested to ensure the highest quality. We continually update our formulas and introduce new products to embrace the latest ingredient technology. We never test on animals and can formulate your products to meet green content requirements as much as possible. Our Facility is FDA and ATF registered and we operate under the CGMP guidelines. Our company is also a member of the Independent Cosmetic Manufacturers and Distributors Association (ICMAD), the Society of Cosmetic Chemists, and the Chicago Perfumery, Soap and Extract Association.